If you want to host a successful online fundraising campaign for a marathon, take the time to plan things out. The only way to ensure that your cause is a success is to put a plan together before you launch your fundraiser. Even if you are new to this process and still need to learn how to fundraise effectively, you can easily follow the steps listed below to help you initiate a solid plan and hit your goal! In order to raise money online, you will need to select a host for your fundraiser. Consider for example how much more likely you would be to make a donation to someone else’s fundraiser if they were hosting it through a designated fundraising website. People will feel much more compelled to donate if you have the power of an actual website behind you, but there is also no reason to make things complicated for yourself. DonationTo.com provides a platform for bringing your fundraising ideas to life that does not require any technical knowledge. Your fundraiser will also benefit from the fact that DonationTo.com will provide you with 100 percent of the funds that you raise, and your donors will be able to access the site from any computer or mobile device. a.) What are You Raising Money For? – It will never be enough to simply state that you are trying to raise money online. Instead, you will need to give a good explanation about the specific cause that you have in mind. For example, if you want to host a successful marathon fundraiser for a pet charity, you need to specify which charity it is and what you are hoping to accomplish by raising money for them. If you provide all of this information, people will feel more compelled to make a donation. b.) What is Your Marathon Schedule? – Again, people will only feel comfortable making a donation if they have specifics. For example, when you provide your full marathon schedule, your donors will have the opportunity to track your results. This will make them feel more confident in their decision to support you. c.) What is the Significance of this Cause? Is it Personal or Business Related? – Everyone likes to know why an individual has decided to raise money for a specific cause. Consider for instance how much more likely you would be to make a donation to your coworker’s cancer fundraiser if you knew that their mother had died of cancer. Therefore, it is imperative to let people know why you have selected the cause that you have. d.) Are You Hosting this Fundraiser Alone or are other People Joining In? – People like to know in advance if they will be supporting the efforts of just one person or an entire team. For example, if a potential donor is approached to support a fundraiser that 25 people were participating in, that potential donor could know some of those people. By listing all the people are involved this networking effect could instantly validate your cause and help it spread! e.) What is the Timing and the Deadline? – By letting people know your timeline, you will increase the chances of successfully meeting your fundraising goal. Consider for instance how often people actually donate to fundraisers or complete any other goals in their life when they have a specific deadline versus an open-ended date. Providing people with a sense of urgency always makes them act more quickly. f.) What is the Goal Amount? Why is it that Specific Number? – Most people do not feel comfortable about making a donation unless they understand why the fundraiser has picked a specific goal. For example, if you start a fundraiser asking for $1,000 but you fail to explain why that $1,000 is needed, most people will not make a donation. You can easily avoid losing donors by stating exactly what you need and how the money will be allocated. Learn more about setting goals here. g.) What Technology can be Used to Donate? 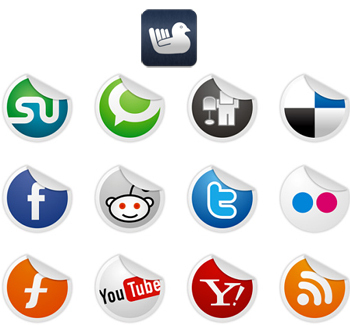 – If you want people to donate online, you will need to inform them about what technology they are able to use. For example, if you have set up a fundraising page on DonationTo.com, you should let potential donors know about it. You can also increase donor confidence by letting them know why you have chosen DonationTo.com. Once your potential donors have a firm grasp on the technology that is being used, they will be more likely to move forward with making a donation. To learn more about explaining your cause view this post. What is the Schedule of Your Marathons? Your fundraising campaign will need to be based around whether you are going to be running in one marathon or in multiple races. a.) Single Marathon – For a single marathon, you need to make people feel comfortable with the idea of making a large donation. To do this, you should explain the process. For example, you can let people know how many miles you will be running and that this is the only marathon you will run for this charity. When you let people know that they only have one race to support, they will be more likely to make a large donation. b.) Multiple Marathons – If you are planning to run in multiple marathons for charity, you will need to explain in advance that you will need support more than once. For example, if you are trying to raise $5,000 for cancer research and you will be in five marathons, you can split the donation goal up and ask for $1,000 per race. By explaining this process to your donors, they can make plans to support your future marathon fundraisers. c.) Provide Dates – Whether you have one or multiple marathons to raise money for, it is important to provide your donors with specific dates. Consider for example how much more compelled you are to make a donation to a worthy cause if you know that there is a deadline quickly approaching. By giving people a specific end date, you create a sense of urgency, and you also help them budget. I am going to be running in 10 upcoming marathons with the intention of raising money for medical treatment for my best friend. As many of you know, Sarah has been diagnosed with cancer, and she needs to collect another $10,000 before she can receive the necessary treatment. Further down this page, I have listed each marathon that I will be running in, along with the dollar amount that I am hoping to raise for each one. If I can hit my goal for all 10 marathons, we will have enough money for Sarah to undergo a lifesaving treatment. This fundraiser is very important to me as I have known Sarah for my entire life. I know that many of you have known Sarah for a long time too, and I hope that you will all do what you can to help her during this difficult time period. By running these races, I am hoping to raise enough money for Sarah to receive treatment and to also keep all of us connected throughout this process. We have already received two large donations to help us meet our ultimate goal. I am very grateful to my parents for making a $1,200 donation and to Sarah’s favorite local coffee shop for donating $500 to this extremely worthwhile cause. Although their combined donations will help a lot, we are still $10,000 away from hitting our goal. The only way to ensure that Sarah will receive the necessary treatment is for us to hit our goal by November 1, 2013. Her doctors have stated that the cancer will most likely spread to other areas of her body if she does not receive this treatment, and that will definitely have a very adverse reaction on her health. To help prevent this from happening, I will be running in 10 marathons, and I will keep in touch with each of you throughout this process to remind you about our individual fundraising deadlines. I want to personally thank each of you for your support and let you know that Sarah has really appreciated all of your kind emails. Sarah is truly one of the most wonderful people who I have ever met, and I am committed to doing whatever it takes to help her get better. I know that I can count on all of you to help out as well. We will be using DonationTo.com as our online host for this fundraiser because they will allow us to keep 100 percent of the donations and avoid credit card fees! P.S. – Here is the full list of marathons that I will be running. If I can raise just $1,000 per race, we will hit our goal in time to help Sarah get the necessary treatment! Now that you understand how to set up a solid fundraising page and plan, you need to learn how to communicate with current and potential donors about your fundraising ideas. After all, if you fail to stay in touch with people, it will not be unexpected when they fail to make additional donations. Consider for example how often you need to be reminded before you end up making a donation to a worthy cause. Although some people will donate immediately, most people will need to be reminded at least a couple of times before they set aside the time to make a donation. It will be especially important to send out regular reminders and updates if you will be hosting multiple online fundraisers. Keep in mind that it is important for you to demonstrate that you truly care about your fundraiser. After all, if you cannot take the time to stay in touch with your donors, they will begin to feel like you are not taking the process seriously, and this will prevent them from making donations. Whether you are new to fundraising or a seasoned veteran, the following list of communication tips can help you capture a larger group of donors. 1.) Email Your Supporters and ask them to Share the Link - At the beginning of the second week, you should write an email that provides an update about how many donations have been received. In this email it is also a great idea to summarize the goal of the fundraiser and to ask your supporters to share the fundraiser’s URL with their friends. Consider for instance how much more likely you would be to make a donation to a fundraiser that had a personal impact on one of your friends or coworkers. Most people are charitable by nature, so it is vital to get information about your fundraiser in front of as many people as possible. 2.) Gaining Additional Support - The more people who your supporters share the URL with, the more likely you will be to hit your goal. For example, if you start off with 25 people who can only donate $20 each, you will only raise $500. However, if each of those 20 people is able to recruit just one more $20 donor, you will be able to raise $1,000. Regardless of the total amount of new people who make a donation, however, asking your supporters to share your fundraiser’s URL will greatly increase the reach of your cause, and this is definitely the best way to ensure a fully funded campaign. Here is an example of an email that you could send to your supporters to get them to share your fundraiser’s URL. Please note that the message is personalized for each individual supporter because this will provide you with the best results. It was really great to see you last week in New York City! I will actually be back in the city in June, and we should definitely have dinner again. By the way, I will be running ten marathons to raise $10,000 to help Sarah get treatment for cancer. My fundraising page can be found at www.DonationTo.com/Raise-Money-For-Sarah, and I would love to get your support. Every penny donated will help me reach my goal, and your assistance would be greatly appreciated. If you can take a moment to share the fundraiser’s URL on your Facebook page or any other social networking pages, it would really help us spread awareness. To make things as easy as possible, you can simply copy and paste the message that I have posted below. Please feel free to also email this message to any friends or family members who might be interested in helping out. I heard that NYC got five inches of snow the other yesterday. Try to stay warm! 3.) Getting Your Message Out - Now that you have a message drafted for each of your supporters, you need to make sure that you utilize the best online method for getting their attention. For example, some people check their email accounts obsessively, but other people only check their email once a week. If you know that someone spends more time checking Facebook than their emails, you should send them their message via Facebook. By simply copying and pasting the message into a Facebook message, you can ensure that your supporter will receive the information quickly. You should also consider utilizing chat and text messaging. Either way, though, the most important aspect is to contact people via their preferred method of communication. a.) Who has Donated? – If you have received any major donations, you should definitely thank them publicly. For example, if a local business provides a $500 donation, it is considered to be good etiquette to let others know about their generosity. Another perk of letting people know about large donations is that it might inspire them to provide a matching donation. b.) How Far are You from Your Goal? – Providing a concrete update about the status of your goal will help people determine if they should make an additional donation. Consider for instance what you would do if a fundraiser you believed in was only a couple of hundred dollars away from hitting their goal. The odds are high that you would make a second donation, and your supporters will do the same thing if they are financially able to. c.) When is Your Next Marathon? – It is always a good idea to remind people about the timeline for the future. For example, if you let people know that you will be running another marathon in two months, they can start putting aside money now to support your next fundraiser. It is also always a good idea to remind people that you will need their support throughout the entire marathon season. d.) Are You Ahead or Behind on Your Goal? – Whether you have passed your goal or you are nowhere near it, your supporters want to be kept in the loop. Consider for example how you would feel if you made a sizable donation to a worthy cause but then you never found out whether or not the fundraiser hit its goal. Without regular updates on the status of the fundraiser, people will not feel as motivated to make additional donations in the future. e.) If You Hit Your Goal, do You have a Stretch Goal? – In some instances, a fundraiser will set a stretch goal to keep funds coming in. For example, if your individual marathon goal is $1,000 but you need to raise a total of $10,000, you could set a stretch goal of $1,200 or even $1,500 to encourage people to continue donating. By exceeding your goal, you will have a cushion for your future fundraisers. Week One: Announce Your Fundraiser – As previously mentioned, it is important to send out a message that announces your fundraiser. Consider for example how confusing it would be to receive a fundraising plea if you had no idea what the fundraiser was all about. To ensure that you receive the maximum amount of donations, you need to send out an announcement that explains the fundraiser. Week Two: Ask Your Supporters to Share the Fundraiser’s URL – Getting supporters to share your URL is the best way to increase your base of donors. For example, most people are more willing to donate to a cause that has a personal meaning. If one of their family members or friends asks them to donate, the personal connection will make them much more likely to do so. Therefore, you should always ask your supporters to help you spread the word. Week Three: Create a Sense of Urgency with an Update – By the third week, people are going to begin to lose focus. Consider for instance how easy it is to get excited about a fundraiser at first but to forget about it after a couple of weeks. By providing an update in the third week that reminds everyone about how much you still need to raise, you can make your supporters understand that they need to donate sooner than later. Week Four: Send Images from One of Your Marathons Along with Another Update – People are very visual, so it is a great idea to send some photographs from one of your marathons. For example, whenever you see a photograph attached to an online fundraiser, it becomes much more difficult to walk away without making a donation. This is because the images draw you in more than the words, and they also provide you with a more intimate connection to the person who is hosting the fundraiser. By providing images and an update, you can keep people engaged in the process. More about fundraising and image quality here. Week Five: Give an Update about Sarah and the Fundraising Goal – Your donors want to know how Sarah is doing, so make sure to let them know and share a recent photo if possible. Consider for example how much you would want to know the current state of your friend’s health if you were donating from another state. 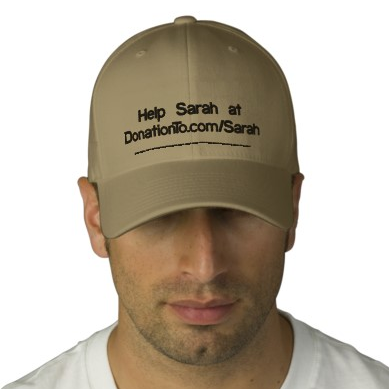 By tapping into everyone’s concern for Sarah, you can remind them why it is so important to make a donation. Providing an update on the overall goal is also a great way to encourage people to donate. Week Six: Begin the Process Again – Once you have hit the sixth week, you can start implementing the same ideas from weeks one through five again. Consider for example how many successful fundraisers and advertising campaigns have used repetition to make people feel more comfortable. By using the same format every five weeks, you can make your life easier and make your supporters feel more connected to the cause. Most runners tend to forget that they can help out their cause while they are actually participating in a marathon. For example, think about all of the times that you have seen someone wear a shirt that advertises a specific cause. You can utilize this same tactic while you are running in each of your marathons. You can create a custom shirt with a relevant image and the fundraiser’s URL by visiting Customink.com. In addition to getting the word out, your shirt will also quickly turn into a conversation starter. When you are trying to raise money, it is definitely important to engage people verbally about your cause and why it is important to you. Therefore, turning yourself into a running billboard is one of the best ways to gain support for your fundraiser. The best way to get people to support your marathon fundraiser is to utilize effective communication. As soon as you have created your fundraising page on DonationTo.com, you should send out an email that introduces your campaign. Make sure that you send new emails once a week, and ask your supporters to share the URL to your fundraiser on their social networking pages. 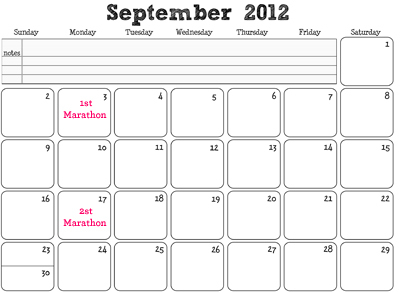 If you will be running in multiple marathons, you should let everyone know what the schedule is. By doing this, you can keep people engaged in the process and allow them enough time to budget for each fundraiser. Keep in mind that you can turn yourself into a running billboard during each of your marathons by wearing a custom shirt or hat. It is also a great idea to pass out hats to your supporters and fans. How to start a marathon crowdfunding? Are you sceptic about your capacities and skills to crowd fund? Our donation website tells absolutely for free how to crowd fund, please signup and see how easy it is to handle.